We’re one of the most experienced firms in Georgia, with over 30 years of experience. In our time practicing personal injury law, we’ve represented clients in over 30 states throughout the country. We stand by our practice with a proven record of success. We’ve secured multiple settlements in excess of $100 million, one of which is the largest collected judgment in the United States. We offer our services on a contingency-fee basis, which makes our legal services accessible to all that need them. Georgia’s major trucking companies, such as Atlantic Trucking Company Inc. and Grimes Trucking Company, have resources to combat liability claims. Going up against a trucking company in pursuit of fair compensation for injuries can be an uphill battle. It is up to you to strengthen your side of the case with help from an attorney. Hiring a lawyer can force a trucking company and its insurer to take your claim seriously. It can also prevent an insurance company from taking advantage of you during the claims process. If you suffered catastrophic injuries or lost a loved one in a truck accident in Savannah, an attorney can accurately evaluate your case and give you a better idea of what it could be worth. An insurance company, on the other hand, may try to downplay your damages and offer less than your injuries demand. Hiring an attorney to take over insurance settlement negotiations can guarantee someone fights for fair recovery on your behalf. It can also take the burden of legal processes off your shoulders while you concentrate on healing. Truck accidents are often not accidents at all. They are preventable collisions that stem from someone’s negligence. A truck driver may cause a deadly accident by texting and driving, drunk driving, or breaking roadway rules. It is up to every road user, including truck drivers, to prevent trucking accidents. Examining truck collision statistics in the state and country can help spread awareness of the dangers of trucking and may be able to decrease the numbers in the future. In 2016 (the most recent year data is available), 4,213 fatal accidents in the U.S. involved large trucks. This was a 3% increase from the previous year. Most fatal truck wrecks occur on Interstate highways and in rural areas. In 2015, the state of Georgia recorded 385,221 vehicle crashes and 1,430 related fatalities. In 2015, the serious injury rate in Georgia was 16.46 per 100 million vehicle miles traveled. This was a 10-year high within the state. In 2016, 179 fatal accidents in Georgia involved large trucks. Thirty-three large truck occupants lost their lives in motor vehicle crashes the same year. The other 146 fatalities were passenger vehicle occupants, motorcyclists, bicyclists, or pedestrians. Almost every day, a large truck in Georgia collides with another road user. This is an issue that all trucking companies, their drivers, and all other road users should keep in mind. It is everyone’s responsibility to try to prevent fatal accidents with trucks. Keeping up with Georgia’s truck accident statistics can help you understand and appreciate the problem. Butler Wooten & Peak LLP continuously keeps up with the latest crash data to help keep our community informed of the dangers large trucks can pose. What is the “Devil’s Highway” in Savannah? If you live in or near Savannah, you may have heard of the Devil’s Highway. This is the nickname for a part of Interstate 16, stretching from Bryan County into Savannah, Georgia. It earned the name from a track record of terrible car accidents that have taken dozens of lives. State officials estimate more than 27,000 vehicles travel this busy portion of highway every day. This includes many commercial trucks hauling cargo to and from the port in Savannah. The Devil’s Highway has been the setting of many fatal accidents over the years. In 2016, five people died in a tragic accident on I-16 near exit 155, when a Mustang with three occupants crossed the median and struck another vehicle with two occupants. This followed another five-death accident in 2015 when a trucker rear-ended a line of vehicles and killed five Georgia Southern nursing students on their way to a group study project. What makes this stretch of I-16 so dangerous is the heavy traffic, combined with a dangerous design that does not take high capacity into account. The Department of Transportation has promised safety improvements at I-16 interchanges, and plan to make it six lanes heading into Savannah. However, no current end date is in sight for this project. In the meantime, distracted drivers (the trucker was texting and driving at the end of his shift) and congested traffic continue to cause accidents on the Devil’s Highway near Savannah. What are the Main Types of Trucking Accidents? Jackknifing. 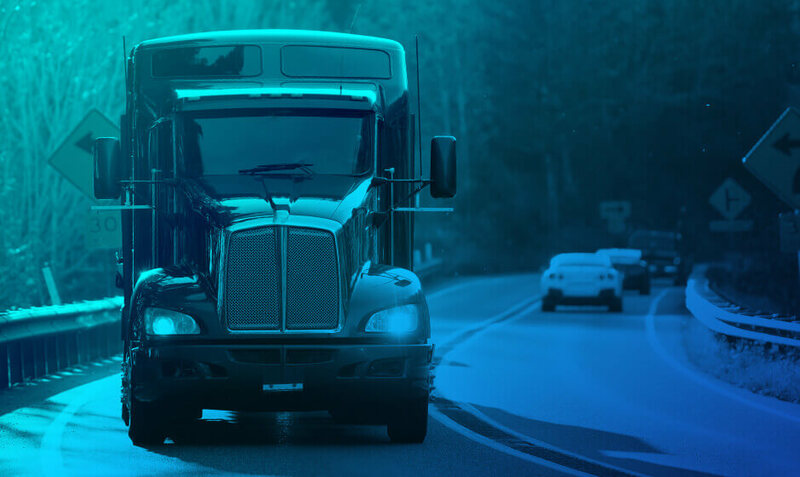 Often the result of abrupt braking or inclement weather, jackknifing occurs when a truck cab and cargo move in different directions, often into another lane of traffic. Rollover. When a truck driver loses control of a truck at high speeds, a rollover can result, posing a serious danger to all drivers around it. Tire blowout. Trucks put in hundreds of miles on the road each day, which can lead to serious wear and tear on the vehicle’s tires. Improper maintenance can lead to tire blowouts, which can cause a semi to lose control. Blind spots. Trucks have much larger blind spots than ordinary cars, because of the sheer size of the vehicle involved. Unfortunately, this can cause semi-truck drivers to turn into other cars on the roadway. The complexity of the liability involved necessitates an attorney. Often, these cases involve multiple parties who may share the blame for the victim’s injuries. An attorney can help determine the parties responsible and negotiate on the victim’s behalf to assure a fair settlement based on the full extent of his or her damages. Compensation for economic harm. Medical bills, lost wages, loss in earning capacity, and projected costs of future medical care fall under economic damages. Reimbursement for intangible losses. So-called “general damages” include physical pain, suffering, loss in life quality, or loss of partnership or consortium, in the case of catastrophic injury or wrongful death. When is a Trucking Company Liable? Trucking companies throughout the U.S. used to evade liability for most truck wrecks. They did so by leasing instead of owning the fleet vehicles and using independent contractors instead of hiring employees to haul the cargo. New rules from the Federal Motor Carrier Safety Administration (FMCSA), however, put an end to trucking companies unfairly escaping liability for wrecks. The FMCSA holds that all trucking companies will be responsible for their trucks and drivers, regardless of ownership or employment status. The company failed to vet its drivers during the hiring process. This could lead to hiring unsafe drivers with histories of drunk driving or other traffic infractions. The company failed to train its drivers. This could result in truck drivers who cannot safely operate their vehicles. Without proper training, drivers may not know the proper braking techniques in dangerous situations. The company negligently failed to maintain its vehicles. The FMCSA requires trucking companies to inspect their fleet vehicles regularly, and to order repairs and replacements as necessary. Failure to do so could result in part breakdowns during trips. The company’s cargo loaders did not obey loading regulations. Unsafe cargo loads could drop during transport, causing a serious accident in Savannah. Cargo loaders from the company or a third party must adequately strap cargo down according to federal laws. The company’s driver or another employee negligently caused the accident. A trucking company will be vicariously responsible for the misconduct and negligence of its truckers in Georgia. Distracted, drunk, drowsy, or otherwise reckless truck drivers that cause accidents are the company’s legal responsibility. Trucking companies will be liable for most trucking accidents in Georgia. However, other parties may share liability. A negligent passenger vehicle driver, for example, may have caused the initial hazard that resulted in the truck crashing into you. Product manufacturers could also share liability if a truck or vehicle part contributed to your injuries. Determining liability is one of the many tasks our lawyers in Savannah can complete for you. What are Some Common Causes of Trucking Accidents in Savannah? Another important element an attorney can take care of on your behalf is determining the cause of your truck accident. The cause of the crash will answer the question of liability for your damages. Most truck crashes stem from human error. A lack of judgment on the part of the truck company or one of its drivers, for example, could lead to circumstances that are unsafe for other roadway users. Identifying the cause of your Savannah accident can help you and your attorney determine the appropriate defendant. It may take an investigation of your crash and a review of available evidence to assign fault. Your lawyer can interview eyewitnesses, download black box information from the truck, revisit the scene of the accident, and take other steps to determine the cause of your collision. Then, your lawyer can file a claim against the correct party or parties in the Savannah courts.